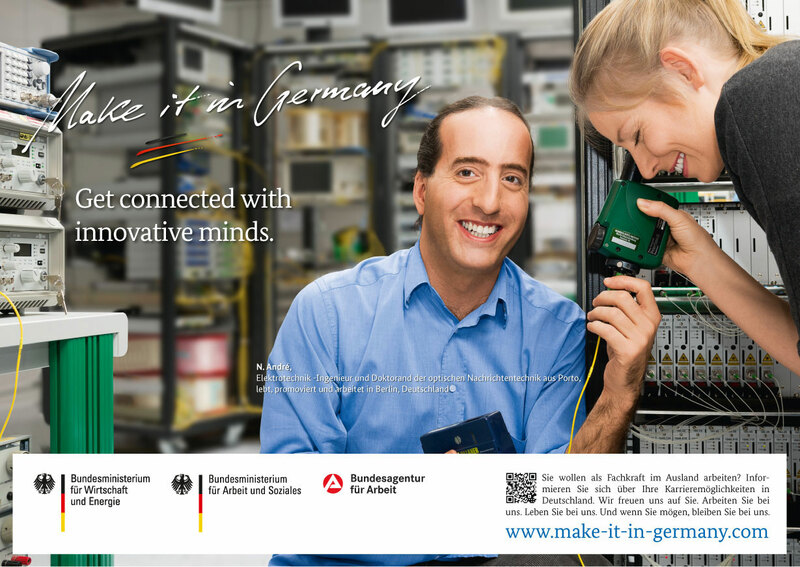 Make-it-in-Germany is the official multilingual program (www.make-it-in-germany.com/de) for international qualified professionals. 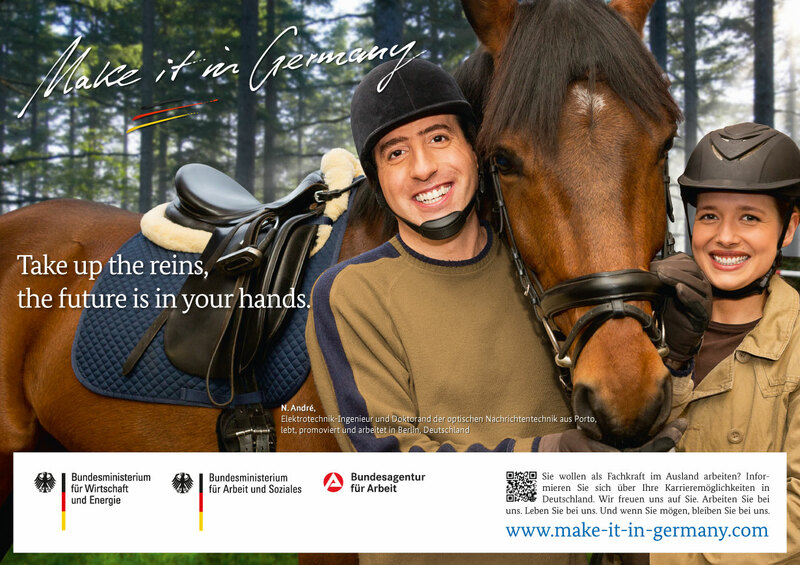 It addresses people interested in migrating to Germany how to successfully plan their move – from the preparations in their home country right through to their arrival and first steps in Germany. In order to illustrate the program we planned to show successful real stories of real people who have actually “made it“. 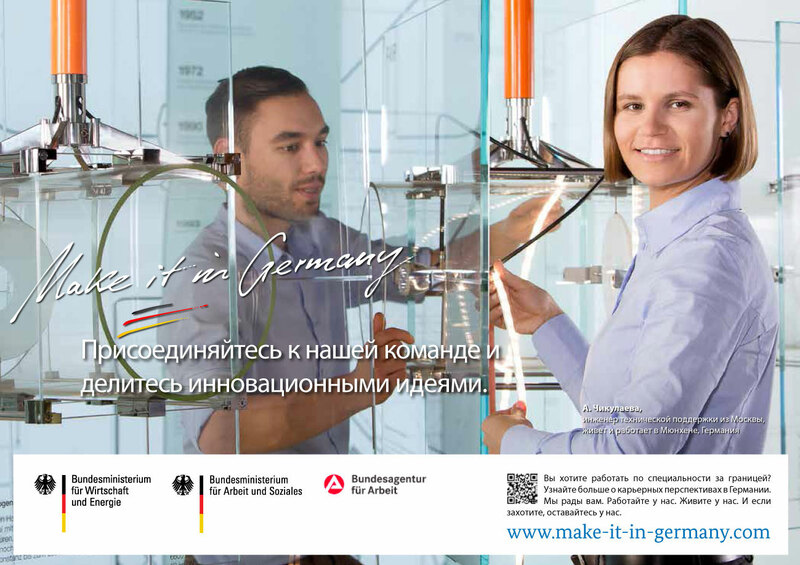 From the Italian physician to the Indian IT manager, from the Spanish construction engineer to the Vietnamese software developer, we collected personal stories and developed campaign motifs on the basis of people’s professional and private lives in Germany. Supported by two ministries and in cooperation with the Federal Employment agency, it was highly helpful to learn about the challenges of the program. 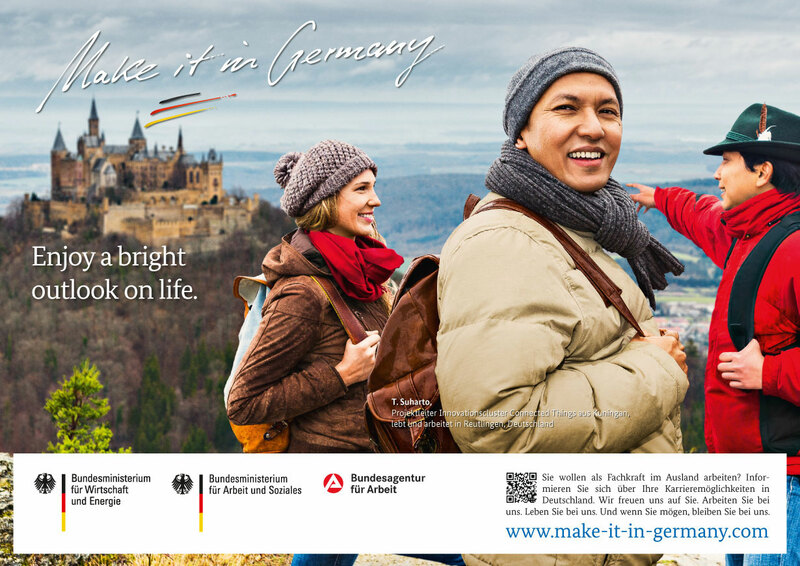 Interviews and personal contact helped us to put the experiences of every day life in Germany in perspective, to reflect the information and help of which professionals may profit. The campaign motifs were used online and offline in the respective countries such as Indonesia, India, Spain, Russia, and many more.